The stock moved higher by 18 per cent to Rs 84.05 on the BSE on Wednesday ahead of board meeting on Friday, March 8 to consider fund raising plans. Shares of Lakshmi Vilas Bank moved higher by 18 per cent to Rs 84.05 apiece on the BSE ahead of the board meeting on Friday to consider fundraising plans. The counter has seen huge trading volumes with a combined 7.98 million equity shares changed hands on the BSE and NSE till 12:29 pm. The S&P BSE Sensex was up 0.48 per cent or 174 points at 36,610 levels. With today’s rally, the stock of Lakshmi Vilas Bank rallied 53 per cent from its 52-week low of Rs 54.80 on February 25, 2019, in the intra-day trade on the BSE. The private sector lender proposes to raise funds through issue of equity shares on preferential basis and/or private placement basis. “A meeting of the board of directors of the bank would be held on Friday, March 8, 2019, to consider and approve the raising of funds by way of issue of equity shares of the bank on preferential basis and issuance of unsecured, subordinated, fully paid up, non-convertible, non-cumulative, BASEL Ill compliant, perpetual debt instruments in the nature of debentures for inclusion in Additional Tier I capital of the bank on private placement basis, to certain investors,” Lakshmi Vilas Bank said in a regulatory filing on Tuesday, after market hours. 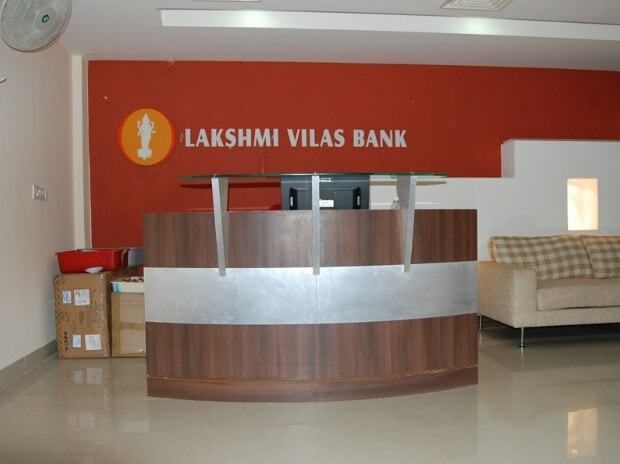 In October 2018, Lakshmi Vilas Bank said that it has received a number of expressions of interest, to participate in the bank’s capital raising programme, from high-quality investors. The stock has been more than halved from its 52-week high level of Rs 122 hit on June 21, 2018, due to poor earnings. On February 21, 2019, the rating agency Brickwork Ratings downgrades the rating of the bank’s long term bonds amounting to Rs 50.50 crore. “The rating downgrade factors in the continued weak performance of the bank since Q4/FY18 till Q3/9MFYI9, in terms of decrease in business both in advances and deposits, operating loss incurred in Q3FYI9, higher net loss for 9MFYI9 as compared to full year FY18 net loss, weakening asset quality reflected through increased gross NPA and net NPA, higher provisions leading to the net loss and impacting the capital adequacy. The CRAR as of December 31, 2018, is below that of March 31, 20 l 8 and the capital adequacy ratio as of March 31, 2018, was below the regulatory requirement. Generating profit and maintaining CRAR as per regulatory requirement shall be the key rating sensitivities,” Brickwork Ratings said in rating rationale. The rating is placed on Credit Watch with developing implication as the bank intends to infuse capital before the end of the current fiscal which will help meet the regulatory capital threshold and also bring the net NPA below 6 per cent. The timely infusion of capital will be a key rating sensitivity factor, it added.